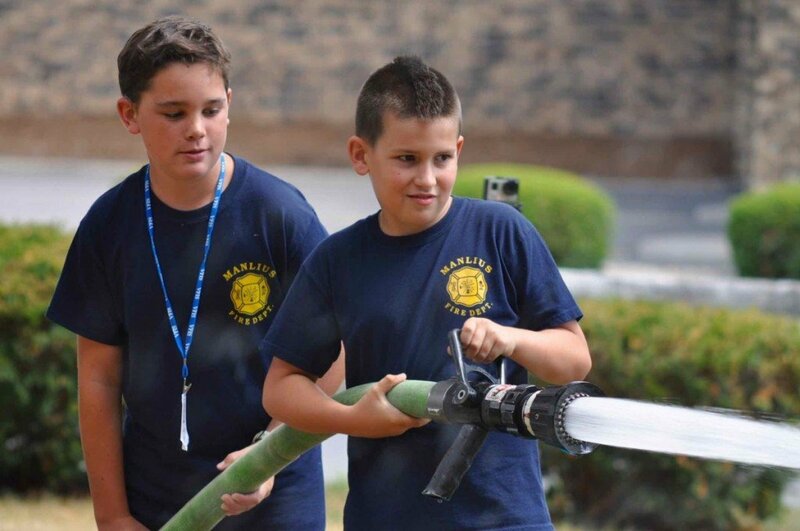 The Manlius Fire Department will be hosting their 7th Annual Junior Firefighter Academy. The Academy will be held for one week, July 16th – 21st , 2018 and is open to all students in the Fayetteville-Manlius School District that will be entering grades 4 through 8 (for the 2018-2019 school year). * Starting in 2019 our camp will no longer be offered to kids entering grade 4 and will only be open to kids entering grades 5 through 8.
well as lunch and break time. deductible donations will be accepted by the Manlius Fire Department to help offset the cost of this year’s camp and to help keep the registration fee for future programs low. Registration runs May 1 at 9:00am, to May 5 at 6:00pm. Questions about the Junior Firefighter Academy should be directed to Lt. Chris Halliday at the Manlius Fire Department. Lt. Halliday can be contacted by email at chris.halliday@manliusfire.com or by calling 315-682- 8318.